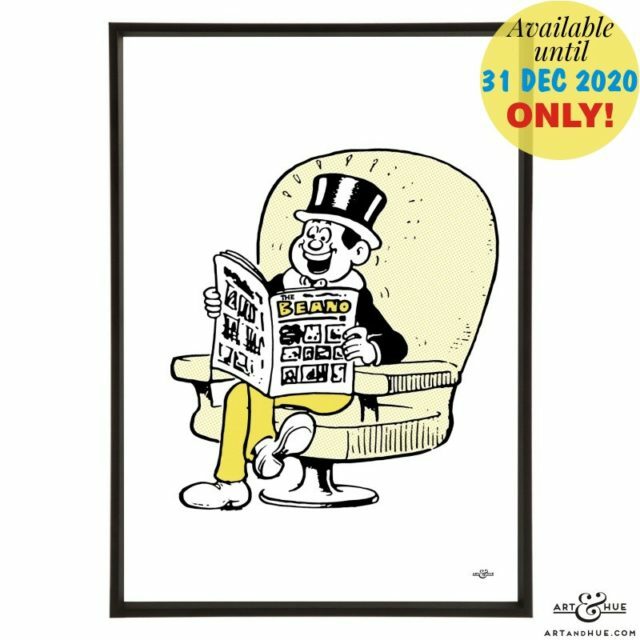 Art & Hue presents Beano Pop Art – Stylish prints to mark 80 years of the iconic British comic. 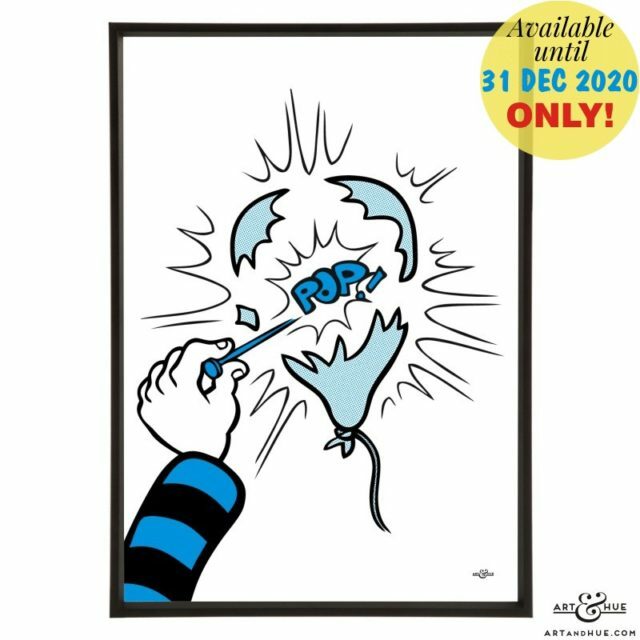 Art & Hue is pleased to present a new collection of stylish pop art prints inspired by Beano comics & characters. 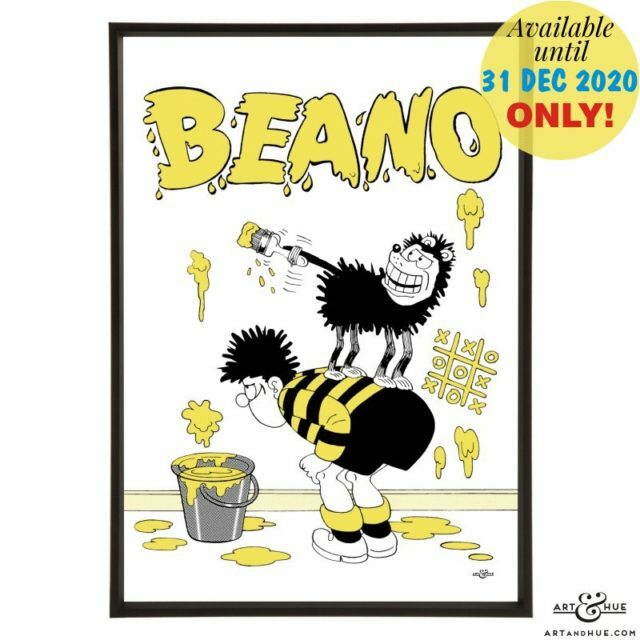 First published in 1938, Beano has delighted generations of readers for 80 years and its cheeky humour is part of the British DNA. 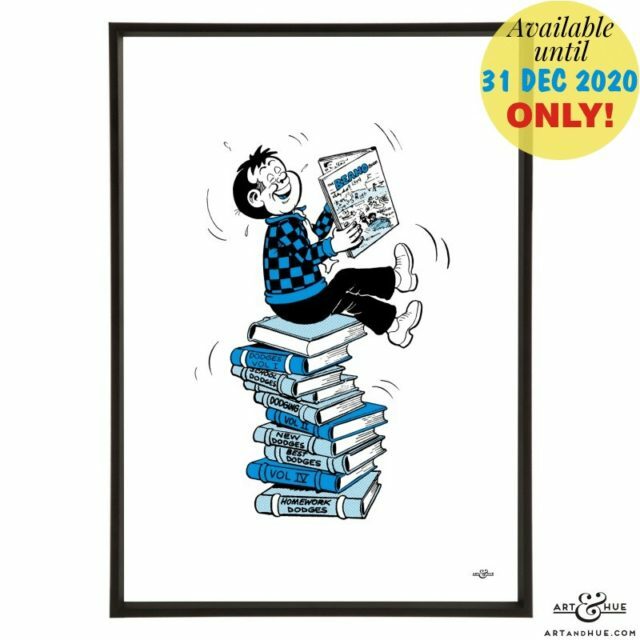 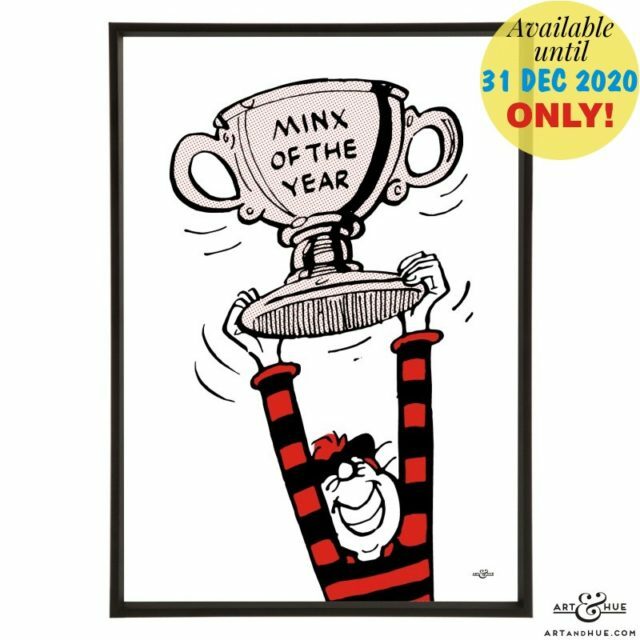 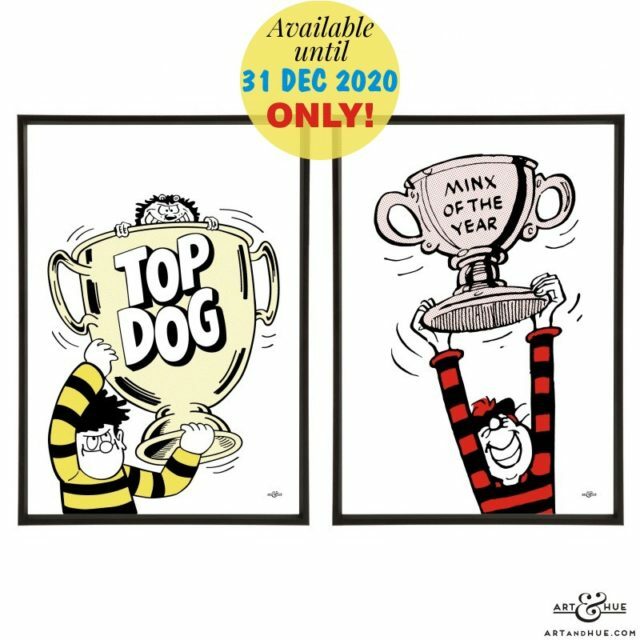 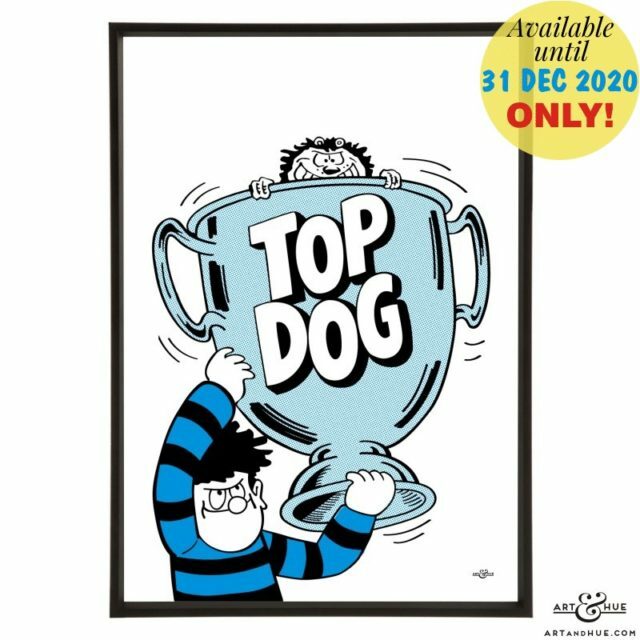 An official collaboration with Beano publishers DC Thomson, Art & Hue’s stylish pop art collection features the beloved characters of Dennis with his faithful dog Gnasher, the Bash Street Kids, Minnie the Minx, Lord Snooty, Roger the Dodger, and Biffo the Bear. 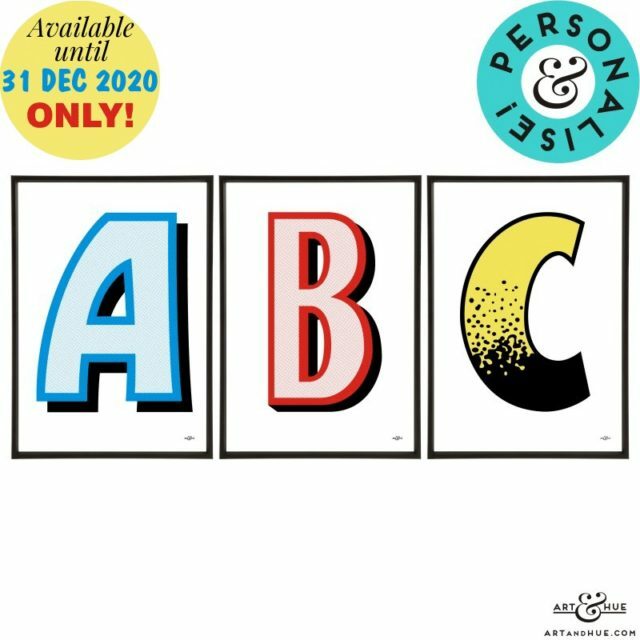 Art & Hue had the pleasure to delve into vintage issues to create 12 new stylish & minimal art prints featuring the much-loved comic-strip heroes, all available in a choice of 3 sizes and 18 colours. 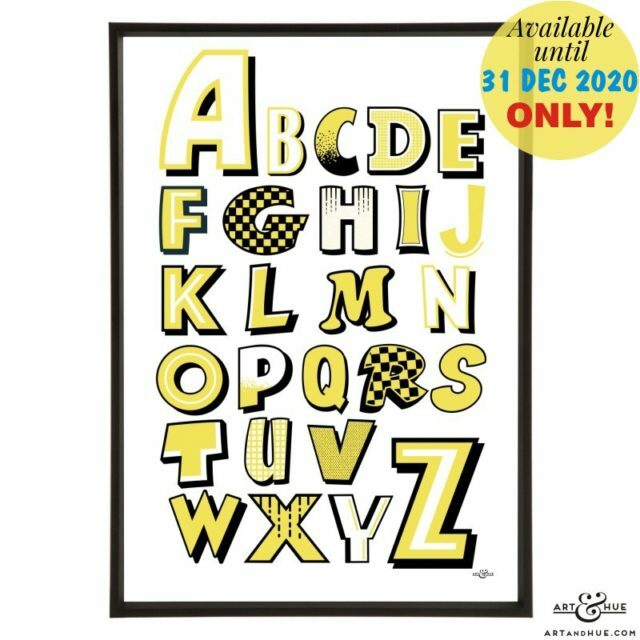 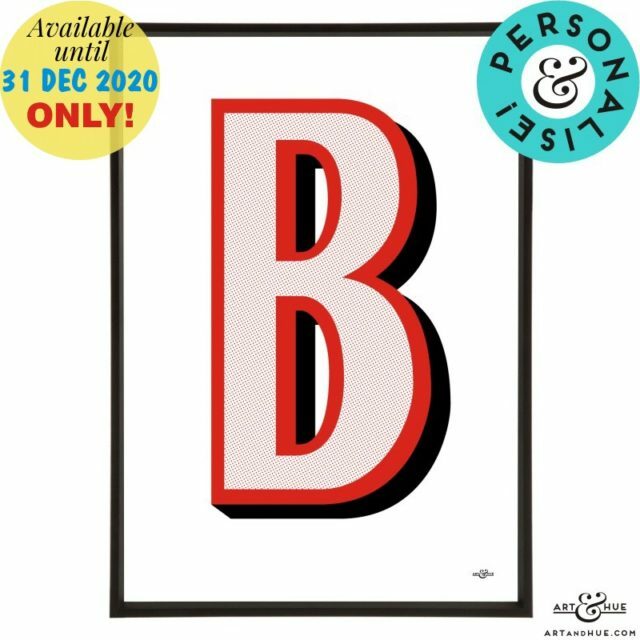 The full alphabet of letters, from across 80 years of Beano’s history, is available with, or without, personalisation to add a name or place for a special bespoke touch. 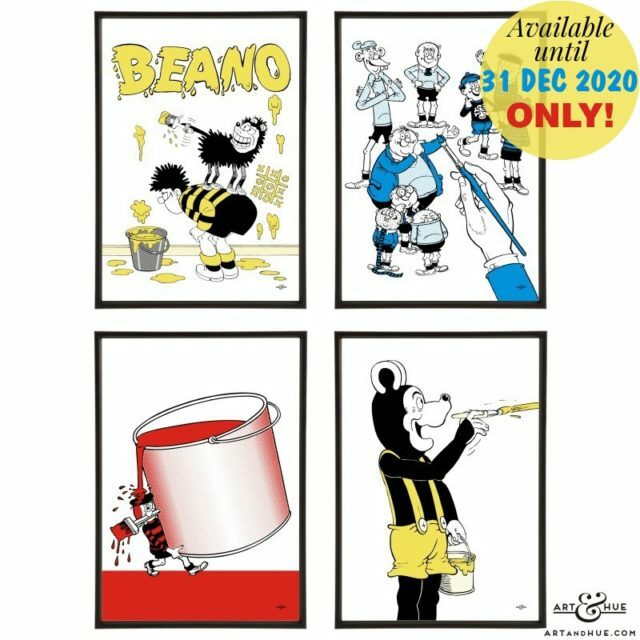 Ideal for the young, & the young-at-heart, discover the Beano pop art collection below.